I used to have my students practice their rhythms with a metronome, but observing a Japanese music teacher lead music class using drum loops for a pentatonic scale exercise, I had to change my methods. The music sensei had the students practice a pentatonic C scale using drum loops instead of a metronome. I wish I would have recorded the students' reaction to the drum loops. All of their little bodies started moving to the beat... it was so natural. After observing this lesson I thought, "why not try that on rhythm drills?!" Now I use the drum loops for strumming every time we learn a chord. 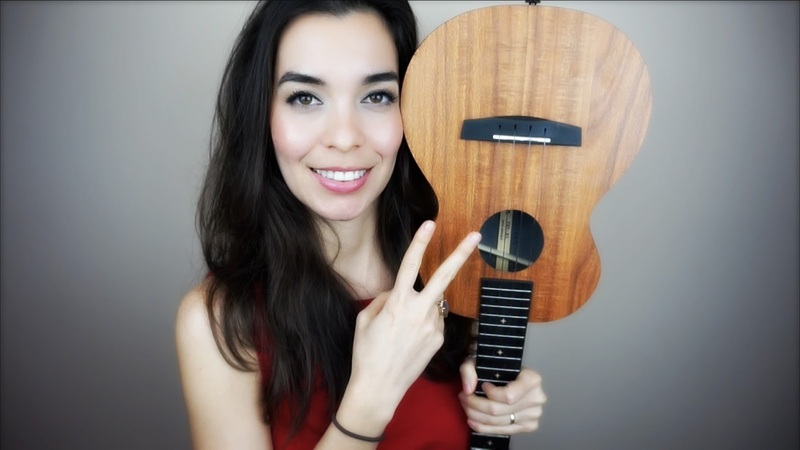 Shameless plug: here's my YouTube channel where I teach all things ukulele. I introduce the drum loops by explaning that 60 bpm means that there are 60 beats per minute... which means that there is one beat per second. After that, the students are quick to pick up on the fact that a higher bpm means a faster speed. The kids love it when I speed things up, especially when we are strumming rhythms and they think about how fast their little hands will have to go. Do you need a rhythm book for beginners? I created a rhythm book for my students to grow their music-reading with. It gradually increases in difficulty. I use this rhythm book when I start my students off on reading music. You can use it with hands, rhythm sticks, boomwhackers, a specific note on the xylophone/metallophone, or you can do what I do- practice strumming! 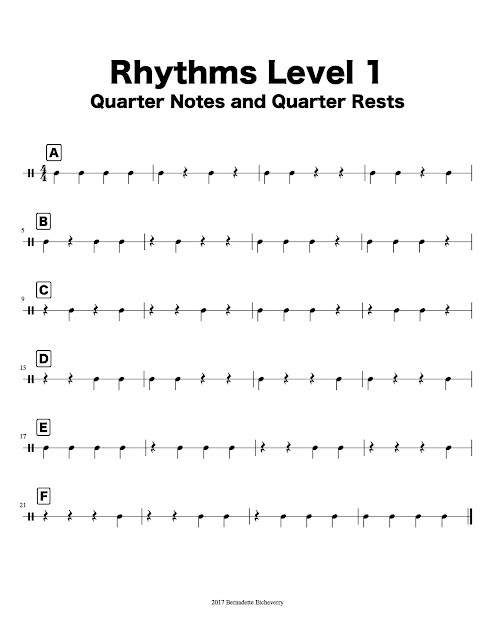 The video below accompanies Rhythms Level 1 too! Hi! My name is Ms. B and I am a happy teacher working in Okinawa, Japan. I love technology, learning more about the ukulele, and helping beginners. I hope you found value in the resources here. Bernadette Etcheverry. Powered by Blogger.